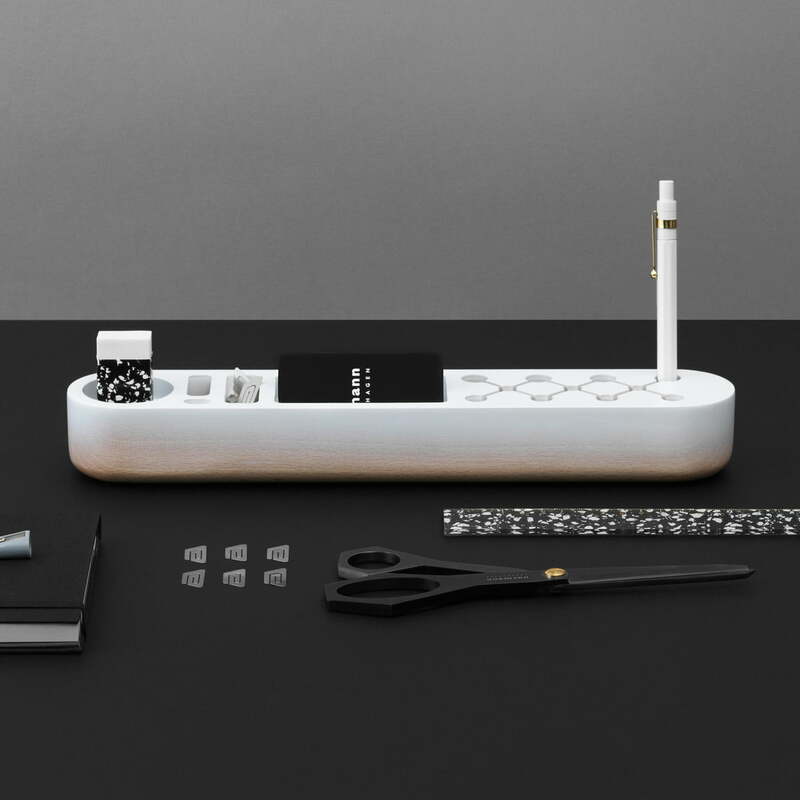 Thanks to the One Piece Organizer for Normann Copenhagen, all of the important office supplies are kept all in one place and always at hand. Its slim silhouette made of beech wood is finished with a great colour gradient that offers a fun visual highlight to the dull office environment. With slots, grooves and small compartments, the slim organizer can be used according to individual needs. While the "classic" version is designed for everyday office work with space for pens of different sizes, rulers, business cards, notes, scissors and a stapler, the "Architect" version is ideal for bulkier marker pens, drawing tools and a calculator. 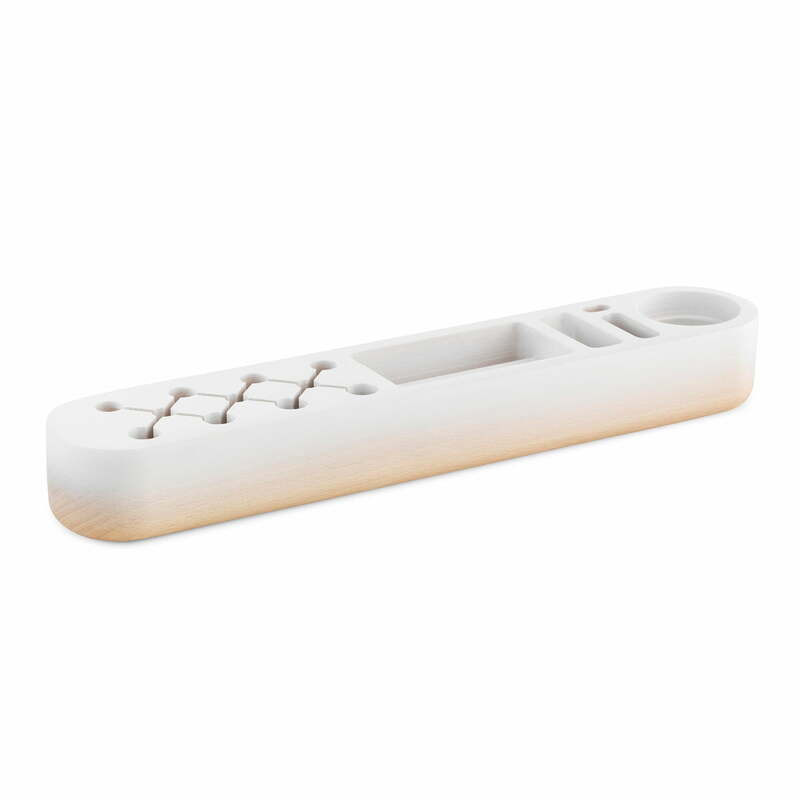 The Normann Copenhagen - One Piece Organizer, classic in white. The "classic" version is designed for everyday office work, with space for pens of different sizes, ruler, cards, notes, scissors and stapler. The Normann Copenhagen - One Piece Organizer, classic in purple. The “Architect” version offers enough space for bulkier marker pens, drawing tools and a calculator. 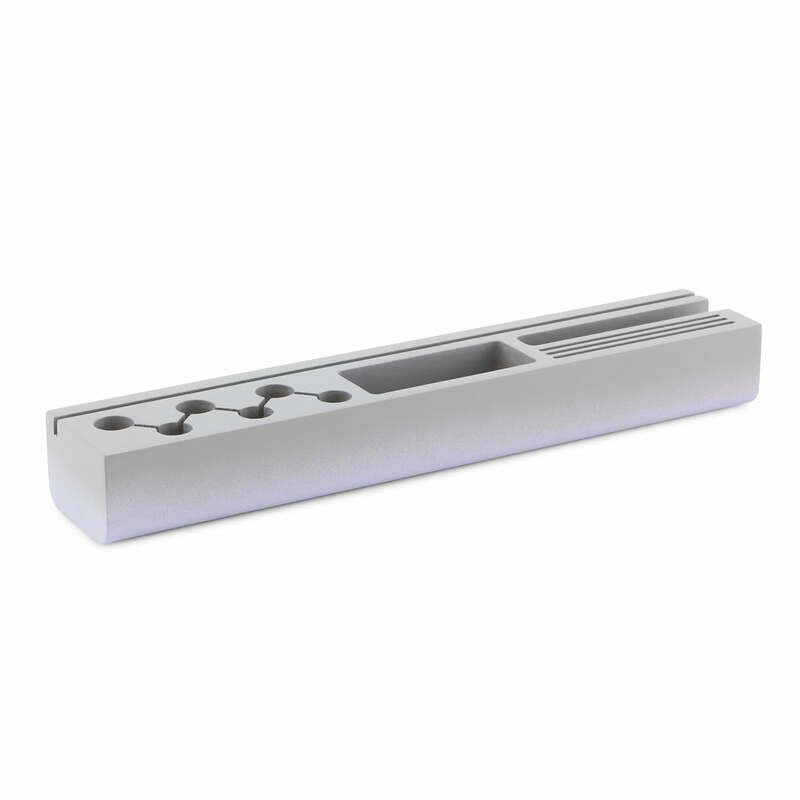 Lifestyle product image of The Normann Copenhagen - One Piece Organizer, classic. Thanks to the One Piece Organizer for Normann Copenhagen, all of the important office supplies are stored in one place and always at hand.